Former Attorney General Eric Holder said Thursday that Democrats should consider court-packing during an appearance at Yale, noting that he would try to add two seats if he were president. The left has relied on the Supreme Court to solidify its policy gains over the past half-century in particular. Now it faces the prospect of an originalist-leaning institution overturning some progressive precedents. 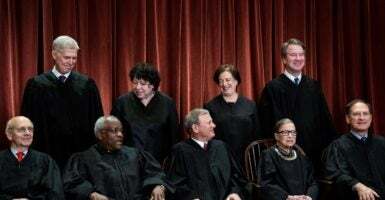 Left-wing groups are openly advocating that the next Democrat president pack the Supreme Court to expand the number of justices behind the now traditional nine. Politico reported that one initiative, appropriately named “Pack the Courts,” is trying to get 2020 presidential candidates to sign onto a pledge to do just that. Some Democrats, at least initially, have resisted the court-packing temptation. 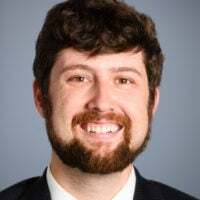 However, the left will exert enormous pressure on Democrats to buckle under the power of a left-wing base that is unconcerned about preserving institutions that they see as standing in the way of social justice. This partisan attempt to pack the court under the guise of “reform” is nothing new. When Justice Anthony Kennedy—often seen as a swing vote on the high court—retired, some progressives immediately jumped in to make the case that it was time to use full-blown court-packing once they return to power. The fact that progressives made this argument before Justice Brett Kavanaugh even sat on the high court shows that there wasn’t really a deeper problem with “the Kavanaugh court” other than the fact that it now contained more originalists. One has to imagine too that if President Donald Trump simply took the left’s advice and started carrying out his own court-packing, they would denounce him as a tyrant. However, it’s far too much to expect intellectual consistency in this matter. The Supreme Court as traditionally constituted is a threat to the left’s ability to radically transform America. While this brazenly partisan attempt to blow up the Supreme Court has certainly been an uncommon phenomenon in recent political debates, it’s not entirely unprecedented. In the early 19th century, the Supreme Court’s size changed a few times with little fanfare. In part due to the lesser capacity of the federal government in those days, the court wasn’t seen as powerful and important as it is today. The high court settled into having nine justices in 1869, and has stayed that way ever since. Only once was this number seriously challenged after that time. President Franklin Roosevelt infamously attempted court-packing in the 1930s. When the Supreme Court struck down many of his cherished New Deal programs, FDR threatened to pack the court with new justices. Specifically, he requested that Congress allow him to appoint a new justice for every current justice over 70. Roosevelt cited age and caseload as the reasons to carry out his plan. But as popular as FDR was in 1937, the country responded negatively. The plan was met with fierce resistance. Democrats had almost unprecedented control of Congress, but many lawmakers recoiled at the idea of bludgeoning the Supreme Court and undermining its independence. There are at least two ways of getting rid of judges. One is to take them out and shoot them, as they are reported to do in at least one other country. The other way is more genteel, but no less effective. They are kept on the public payroll but their votes are canceled. Many Americans saw FDR’s move as a naked power grab, not unlike Thomas Jefferson’s attempt to impeach Federalist justices when he was president (which didn’t go well). Almost paradoxically, these perceived partisan attacks on the court have served to strengthen its reputation in the American mind, for good or ill. But can we be so sure that the country would be united in thwarting such a brazen scheme today? Openly embracing socialism was once thought unthinkable in mainstream American politics, too. For now, the movement to pack the court may just be a palliative to soothe the anger of the left-wing base. However, if these ideas ever came to fruition they would cause further damage to the notion that we live under a constitutional system that puts laws over men. Create now a political court to echo the ideas of the executive and you have created a weapon. A weapon which, in the hands of another president in times of war or other hysteria, could well be an instrument of destruction. A weapon that can cut down those guarantees of liberty written into your great document by the blood of your forefathers and that can extinguish your right of liberty, of speech, of thought, of action, and of religion. A weapon whose use is only dictated by the conscience of the wielder. It’s certainly correct to worry about the power of the Supreme Court, which has become distended compared to the original intent of the Founding Fathers. But taking a partisan ax to the way the court is structured won’t fix the problem.